Bath, the great English watering-hole of the eighteenth century, was a congenial place, Anthony told the three the next morning as they took off in the coach again. “It doesn’t matter who you are,” Anthony said, explaining through a yawn that the inconspicuous, the near-great and the great mingled together in cordial peace. Gossip and minor intrigue flowed as freely as the water in the reeking baths for which the city was named. “What rot,” blustered Sir James. A few hours later, he ordered the coach to stop on the outskirts of the city to get new clothes for Robin, Dean and Elizabeth. He then took them to this house and presented Robin and Dean to Lady Culpepper as his two new clerks. An imposing woman with an over-powdered face and almost clownish rouging, Lady Culpepper frowned at first. Sir James missed the nuance, but Robin held her breath and debated speaking up. “That sounds quite satisfactory, indeed,” Sir James said, his voice filled with relief. The three were each assigned rooms and servants, a footman for each, plus a lady’s maid for Elizabeth, a middle-aged widow named Mrs. Baskin. Fortunately, Mrs. Baskin immediately noticed a certain glow about Elizabeth and warned her not to let Lady Culpepper know. Mrs. Baskin also showed Elizabeth how to tie her stays to conceal her delicate condition. It didn’t take long for the three to settle in. There was some minor trouble with the footmen until Mrs. Baskin kindly explained about vails – generous tips that were expected for the least service. Dean, for his part, found having his footman, a strapping youth named Timothy, to be quite useful. Robin’s footman, Samuel, a thin man in his late twenties, proved to be rather sullen, although Robin wasn’t sure if it was because she couldn’t quite get used to having him around and so didn’t make much use of him. The work, itself, was basically accounting work, with some letter-writing thrown in. Both had a little trouble, at first, learning to read the script, and both were painfully slow at writing. That worried Robin, then she noticed that Anthony wasn’t much faster. She also began to notice that Anthony wasn’t always that sober. Elizabeth, for her part, was a little at loose ends with hardly anything to do except read and chat with Deborah. Deborah turned out to be a pleasant young girl of seventeen. She was delighted with Elizabeth’s accurate memory. Deborah constantly lost things, and it seemed Elizabeth was the only one who could track down the items. 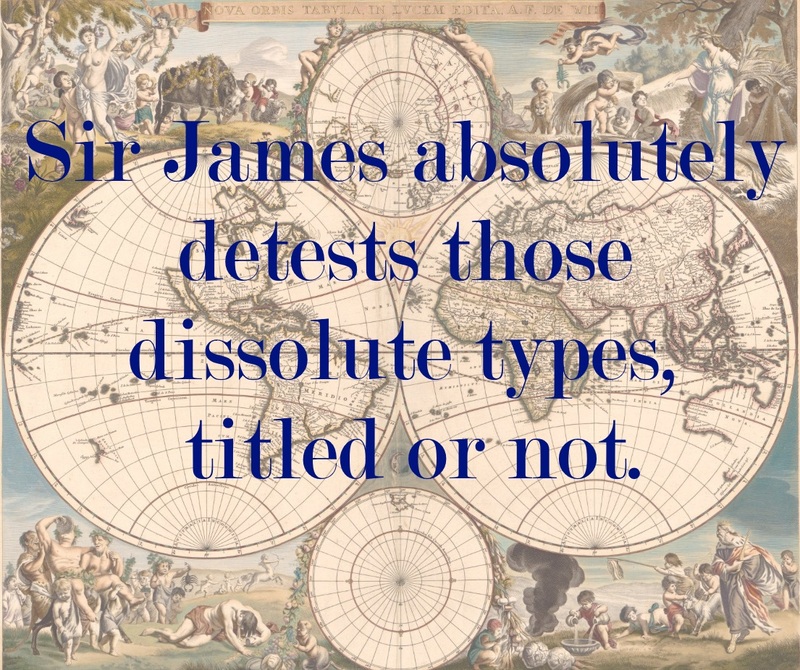 Sir James was prone to blustering a great deal but he was an otherwise harmless individual. He reminded Robin of a character she’d seen in a play from the period. As she saw more plays the longer they stayed, she decided that Sir James and others like him were the models for the stereotype of the bumbling, slightly pompous, father figure. Dean was the only one who seemed to have a problem, though not with Sir James. Lady Culpepper grew to like him a lot, a little too much. Dean ignored her flirting with an easy grace that belied her determination. Seeing as though she supervised the household accounts, he couldn’t entirely avoid her, but he did his best. It seemed that the weeks quickly slipped into months. Robin spent what free time she had working on the time machine, or more accurately, staring at it. She figured out that a circuit had blown. The carbon scoring on the circuit card inside made that obvious. But what that circuit did she had no idea. The parts on the card were laid out in a way that made no sense in terms of the physics that Robin knew. She hoped she could figure it out from the way the card was laid out. Granted, that was assuming the various parts were what she thought they were, and that they were made of materials she knew. She remained cheerful, though only for Dean’s sake. He trusted that Robin would get the machine fixed. In the meantime, he was enjoying his work, and watching Elizabeth’s belly grow. Robin was glad he was adjusting so well, even if it was because he thought the situation was temporary. Elizabeth was as content as could be. She and Dean were as good as married, she felt healthy, and Deborah was quite pleasant. She never did adapt to being so much at leisure, but found various errands and did a lot of running and fetching, which made Robin happy because the walking was such good exercise. Robin also had Elizabeth stretch her legs in a squatting position, and raise her arms to stretch out her back. Elizabeth thought it queer, but she was used to Robin’s requests that way. They followed the family as they moved from house to house. Because Dean had charge of the household accounts, he usually stayed wherever Lady Culpepper was. Deborah, who had her parents pretty well managed, made a point of keeping with her mother so Dean and Elizabeth could be together. Robin stayed with Sir James, which often meant trips to London, while the others stayed in Devonshire or Bath. By the middle of September, Her Ladyship’s gout had flared up, which meant the family would remain entrenched in Bath for a while. Actually, Her Ladyship had ulterior motives for the stay. “I wonder how much that’ll matter if Deborah finds her true love among them,” chuckled Dean. He sat leaning back in a straight back chair with his feet propped up on a small table. “It’ll be interesting to see how it falls out.” Elizabeth giggled. Robin picked up a small canister with holes in the lid and began shaking white flour over her hair. Within seconds, a white cloud surrounded her head. She sneezed several times. “I’ll sure be glad when this damned hair powdering goes out of style,” she grumbled, sniffing. She stepped out of the cloud and wiped her eyes. She had her own room, next to the one where Dean and Elizabeth were, on the top floor of the house, a privilege accorded them because of Robin’s and Dean’s status as clerks, which put them above the house servants. Anthony Morgan had his room on the same floor as the Culpeppers, but that was because he was family. Robin spent most of her time with Dean and Elizabeth partly for the companionship and partly because they had a nice large mirror that made fixing her hair a lot easier. There was a knocking at the door. “Mr. Dean, Her Ladyship requests your presence,” came Timothy’s voice. With amused indulgence, Robin walked over and placed her hand on Elizabeth’s stomach. She waited patiently for the small lump to shift itself. “Yeah, I felt it.” She had many times before, and though she would never admit it to Dean, she was just as fascinated by the promise of new life as he was. Elizabeth just laughed. Pregnancy was far too common an experience for her to find the same fascination in it that Dean and Robin had. Dean hurried off. Elizabeth and Robin both departed minutes later, Elizabeth to eat a breakfast with Deborah, and Robin to start yet another day of business with Sir James. Dean knocked quickly at the door to Lady Culpepper’s chambers. “Who is it?” sang the aging soprano. Dean took a deep breath and entered. Her Ladyship was on the prowl again. “A trip to the apothecary’s?” he asked shutting the door. “Yes, later. For the moment, I’ve another service for you to perform.” She was decked out in one of her India cotton gowns, with her mob cap on and the three small black patches on her painted face. The gown hid her stout figure. There was no hiding the wooden false teeth, however, or the thin wiry hair, white as her powdered wig, that poked out from underneath the cap. “Yes, M’lady.” Dean dreaded what would come next. As he bent, he reflected there were worse things she could have asked. Dean was fairly proud of his talent for massage, although he preferred much younger females as “patients.” Lady Culpepper’s feet were fairly soft from their daily soaking in the baths, and the fact that she did very little walking. He told Robin about his adventure the next morning when she came in to fix her hair. “You stayed out very late last night.” Elizabeth observed. “I’ve heard you’ve been doing your fair share of gambling.” Dean grinned. There was a knocking at the door. “Mrs. Parker?” called the voice of George, Elizabeth’s 13-year-old footman. Elizabeth bounced up, tied her apron over her tummy and grabbed a fan off of the table. “Miss Deborah has just discovered her fan is missing,” she sighed. She kissed Dean and ran out. “I’d better get downstairs, too,” Robin said. She was hard at work, recopying accounts she had figured, when Sir James came into the study. Months of working at the eighteenth century script had made it easier, but Robin found she still had to go slowly to prevent her twentieth century handwriting from giving her away. Sir James looked over her shoulder. Disgusted, Sir James walked to the door. Anthony Morgan proved to be more than a nuisance. He showed up half an hour later, stewed, and in no shape to take dictation. Sir James was furious. He sent his nephew upstairs with strict instructions to stay in his room until further notice. “Shall I ring for my brother so that he can take your letter?” Robin asked. Robin went out into the hall and sent Samuel to find Dean. “Parker!” Sir James barked as she returned. Sir James growled. “Well, do your best, then. I’ll deal with Her Ladyship.” He did not relish the task. Robin didn’t blame him. Lady Culpepper could be quite a formidable creature when her wrath was aroused, and she was not inclined to be reasonable even under the best circumstances. In any case, Robin found her precious evenings devoted to chasing Tony Morgan about Bath, instead of working at the time machine. Dean’s evenings continued to be filled with whatever parties or balls caught Lady Culpepper’s fancy. The goal, of course was to get Deborah a rich, preferably titled husband, which meant Deborah was out most evenings, sometimes with her mother in tow. Sir James resolutely refused to go to any of the events and so Dean got the job of seeing the ladies to the door and accompanying their sedan chairs home. Of late, however, with Lady Culpepper’s gout acting up more and more often, Her Ladyship was forced to forego the festivities, which made her mood all the more predatory. As for Deborah, she faced plenty of competition in the husband chase. Available young women out numbered the available young men. Deborah had an advantage in that she was very pretty and a lively companion. She wasn’t as hungry as the others, either. She wanted to fall in love, and was prepared to wait as long as she needed to do so. That Saturday night, Dean dropped the young girl at the Assembly Rooms for a ball, then went off to a nearby tavern for a brandy and to gamble a little. He quickly lost, so he returned to the ball to watch the dancing through the windows. He would have liked to have chatted with the footmen who carried Deborah’s sedan chair, but the hierarchy among the servants was even more strictly upheld than among the upper classes. So while Dean was an employee, he wasn’t a servant, which put him well above their station in life. The footmen were off gambling with the other footmen, but Dean decided to hang around the sedan chair anyway on the off chance one of the footmen would come back and actually talk with him. As he leaned, bored, against the sedan chair, a young gentleman approached. “Is that your mistress’s chair?” the gentleman asked, timidly. Dean shrugged and followed. The young man led him to the ballroom doors. “Please, point out your mistress,” he asked Dean. “Ah, yes, that’s her.” He sighed. This young gentleman had obviously seen a few too many plays and was playing the young lover role to the hilt. Dean turned to go. “Wait! What is her name?” The young man grabbed Dean’s arm. “My name is Viscount Edward Acton, heir apparent to the Duchy of Cliveton.” He offered a small nod of the head. “Have you considered writing her a letter?” Dean asked. “You do?” He looked hopeful again. Dean caught the little sack with a quiet chuckle. He knew he should feel insulted. He wasn’t a servant. Feeling the heft of the little sack, Dean looked inside, whistled softly and swore. “Sure beats gambling,” he muttered.